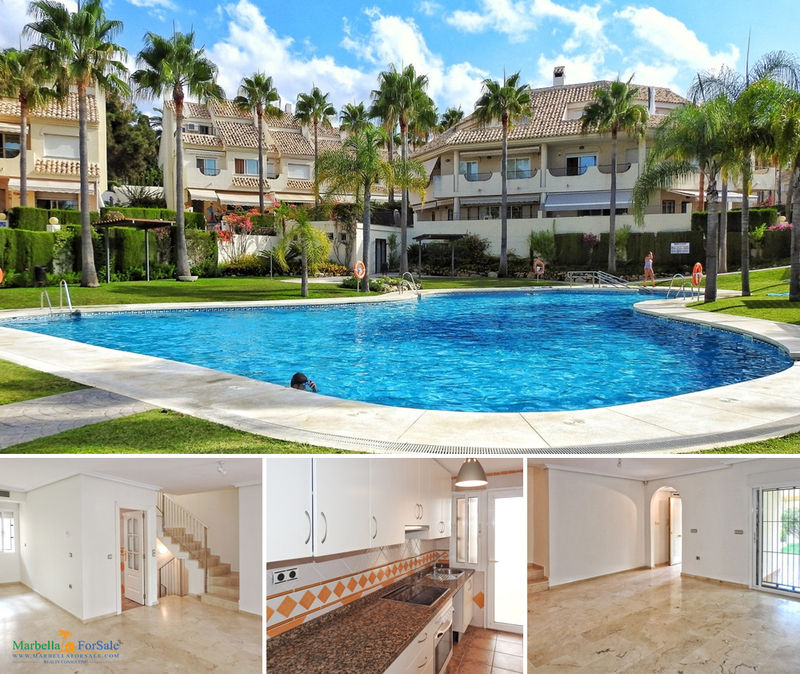 Charming townhouse with 4 floors located in frontline beach residential complex in Elviria, east of Marbella. South facing and with beautiful views to the sea. This beautiful property consists of 4 floors. In the ground floor there is a very large garage for 3 cars. First floor has a spacious living room, guest toilet and dining room with fireplace, partially equipped kitchen, large covered porch with garden and an extensive terrace.